One should never underestimate the healing powers of being next to the sea. As many thalassophiles would agree, the combination of the sun, sand and sea is one the simplest forms of therapy. These increasingly rare moments of solitude are certainly plentiful should one ever find themselves staying at The Westin Resort & Spa. Opened since 1995 and revamped in 2006, this tropical sanctuary has long served as a haven for weary urbanites looking to get away the chaos of the big city. 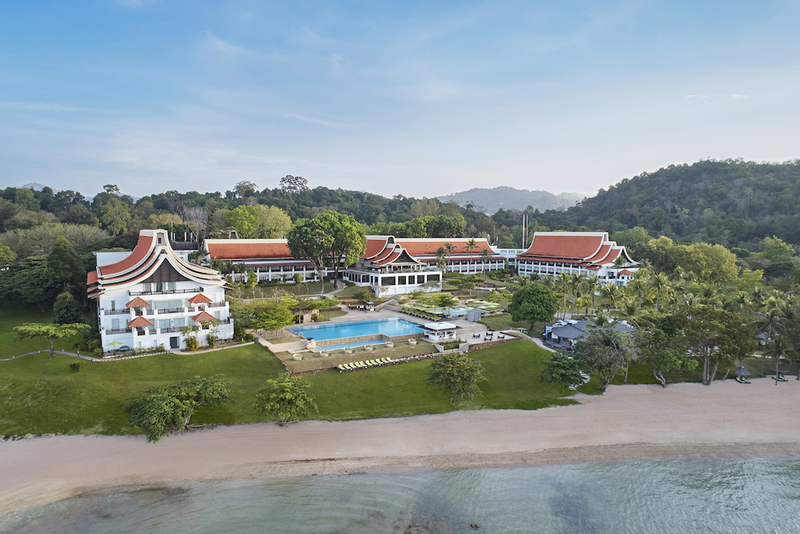 Nestled within the peaceful confines of an ancient forest, the resort which sits on the southeastern tip of Langkawi is blessed with picturesque views of the Straits of Malacca. 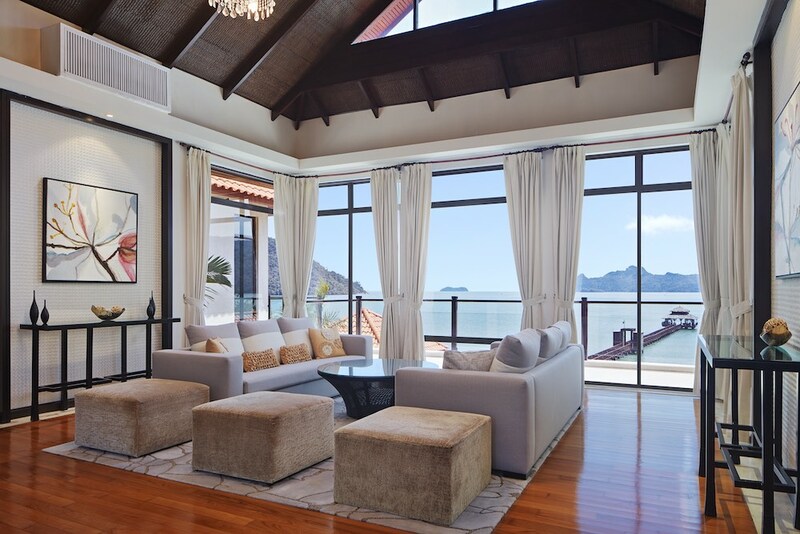 At The Westin Langkawi Resort & Spa, well-heeled travellers in search of peace and privacy will be able to choose from a variety of fantastic accommodation options to cater to their specific needs. Solo travellers and couples will delight at staying at the resort’s stylish suites. 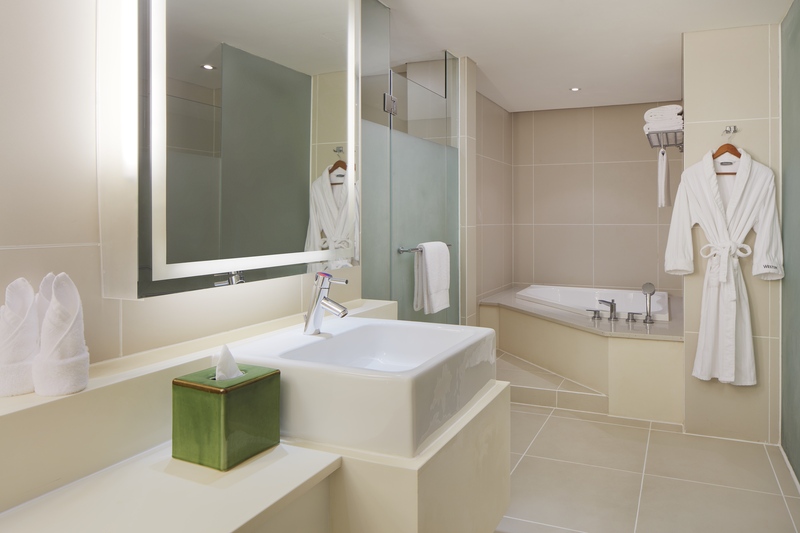 Available in one and two bedroom options, each suite also comes fitted with sleek marbled bathrooms complete with signature White Tea Aloe bath amenities, plush robes and extra-large bath towels, as well as a signature king-size Heavenly Bed guaranteed to recharge all of your senses. For bigger groups looking to revel within the plush comforts of their own private beach villa, the resort offers a multitude of spacious alternatives complete with massive living quarters and personal pools — the ideal setting for enjoying a little quality time together with your nearest and dearest companions. Every villa is also attended to by a staff of private villa hosts who are on call 24 hours a day to cater to your every need. 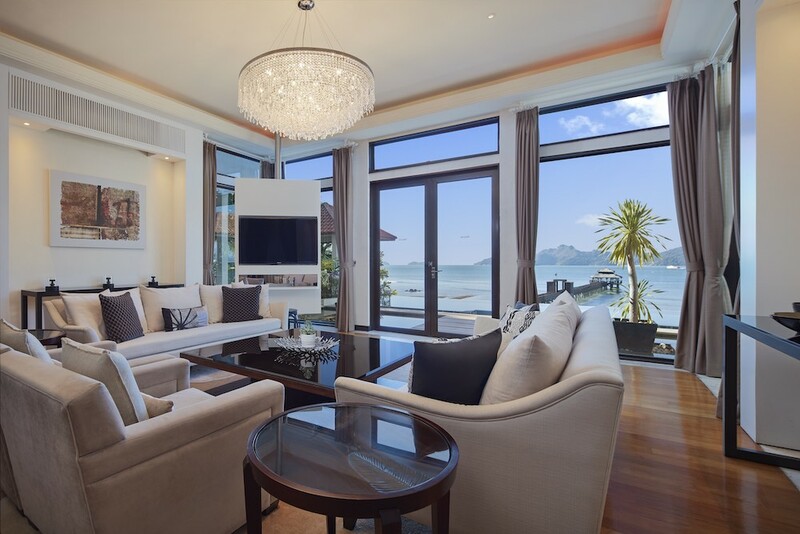 If it is a Mediterranean-style holiday that you’re after, a stay at the resort’s luxurious five bedroom ocean villa would make for the perfect weekend retreat. 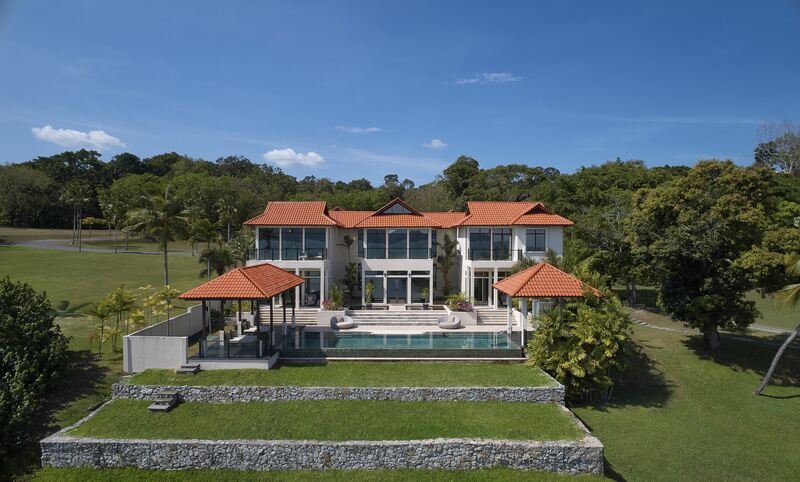 Surrounded by lush gardens teeming with all kinds of flora and fauna, this massive villa was designed to offer a seamless indoor-to-outdoor living experience. Perched on an elevated slope that resides just beside the main property, the villa houses a multitude of modern amenities and luxurious features including a fully equipped private kitchen, spacious lounging and dining areas as well as a capacious infinity pool with jaw-dropping views of the sea — the perfect spot for socialising while basking in the amber glow of the island’s majestic sunsets. Adventurous guests with a passion for the great outdoors will have plenty of thrilling activities to choose from during their stay at The Westin Langkawi Resort & Spa. On land, tennis courts and bicycles are complemented by guided nature walks at the nearby hills and rainforests. Located only a stone throw’s away from the resort, these activities represent the perfect opportunity to observe up close the many indigenous plants and dozens of bird species that call Langkawi home. For added convenience, the resort also provides workout gear lending services for guests that can be delivered right to your room at a moment’s notice. 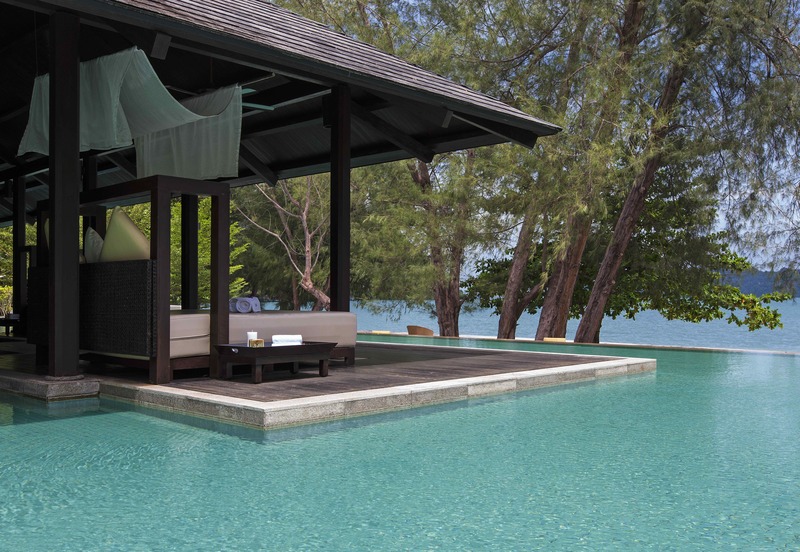 Also worth exploring during your stay at The Westin Langkawi Resort & Spa is the Heavenly Spa by Westin that promises to bring balance to both the mind and body while awakening one’s senses. Featuring an extensive menu of scrubs, wraps, facials and haircare treatments, this place of peace boasts a bevy of pampering spa packages that offer a combination of therapies to promote overall wellbeing. Because at the end of the day, the most memorable holidays are always the ones that will leave you feeling better than when you first arrived. 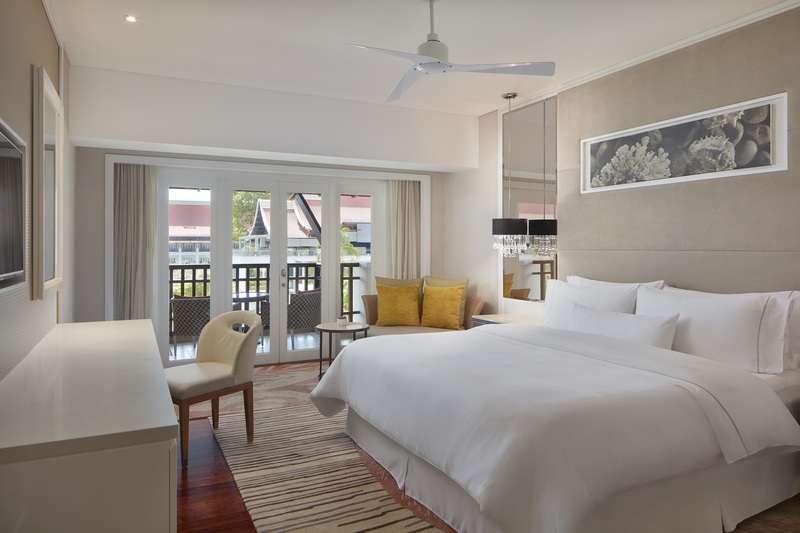 For further inquiries or reservations, please call +604.960.8888 or email westin.langkawi@westin.com.